Do the musical instruments help us or restrict us in the process of music composition? In which way having a physical device, the called instrument, allows us to free flow our creativity? Do we actually need music instruments to create music? I define Troval as a biotronic artistic installation. It allows you to make music with your brain waves. Who sits on the installation and perform is able to get a level of interaction with the work and a machine very… hmm, well try it and find yourself the words. Is nowadays the most similar thing to entering inside Matrix without taking any drugs, just connecting you to an electroencephalograph machine (BCI from Brain Products GmbH). The project combines the steady state visual evoked potential technique to allow the musician to switch on and off a set of music tracks from a MIDI sampler. The musician’s index of relaxation is read through the alpha rhythm to alter, accordingly, the illumination of the stage with a professional set of floodlights. The communication between the BCMI and the MIDI sampler and the set of floodlights via DMX protocol is done with an Arduino plataform. In the currently dizzying progress of the technology, this installation shows one of the first approaches to create music with a BCMI. This project is just one little step between the currently developing of BCI and the future where some types of BCI will be fully able to create integrally music. Till then, it is a taste for the general public that would try how a BCMI is and give free ride to their imagination to think about the possibilities. Troval has been selected for the most underground electronic music festival of Catalonia: Estrany'15. Torval has been invited to present at Strategies for Brainwave Interpretation in the Arts’15 Symposium at Bournemouth University, UK. Torval has been invited to present at 1st International Workshop on Brain-Computer Music Interfacing 2015, at Plymouth University, UK. Atmel, the manufacturer of Arduino microcontroller (part of Torval is done with an Arduino) has published on their blog the Torval biotronic installation. Alex Posada explains us what is DorkBot event and Torval at the Siglo XXI radio program of Radio3, RNE. Torval has been performing on Hangar (center for art research and production) in Barcelona on the 6th of June on the Dorkbot Festival. 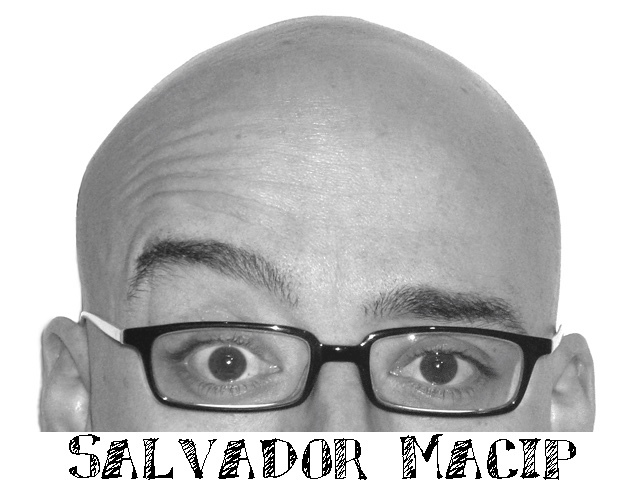 Salvador Macip is a doctor, resarcher and journalist. He has written an article about Torval in his personal blog “bloGejat”.